Dial in the look you want with Rough Country's 1 - 2-inch / 4-inch Lowering Kit for '07-up 2wd GM 1500. 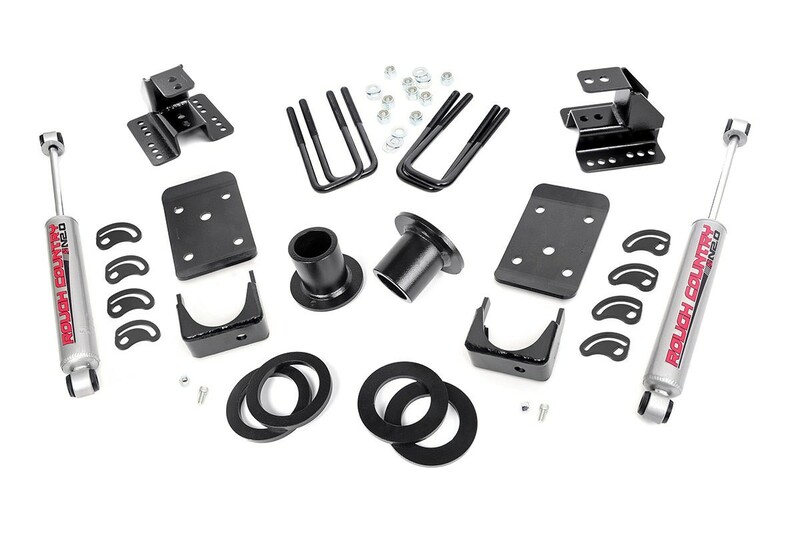 This easy-to-install lowering kit features an adjustable height spacer design, with 2 individual spacers per side, allowing you to customize you exact preferred ride height and making it easy to incorporate a range of different wheels and tires. Drops the front 1-2-inches and the rear 4-inches for a level drop. Can be returned to stock height.